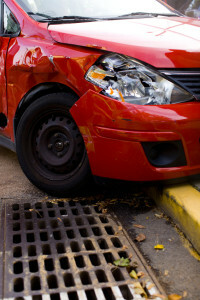 If you have been in a car accident and are the victim of negligence, the car accident lawyers NH at Lucas Law, PLLC, in the Lakes Region of New Hampshire, will work with you to make sure that you get every benefit of the law. Our legal team has the experience, knowledge, and dedication necessary to provide you with premium, personalized service. Civil lawsuits focusing on auto accidents in which a negligent party is involved call for exacting detail, thorough investigative work, and a complete understanding of the state’s civil statutes and court system. If you have been in a car accident, and you are injured, it is important that you get medical attention as soon as possible. If you sustain life-threatening injuries, then emergency personnel will ensure that you are taken to the nearest treatment facility. Then, as soon as you can, you or a loved one will need to alert your car insurance company about the accident. This is a partial list of what should be done as you prepare to bring suit against the negligent party. You may also need to enlist expert medical testimony, accident recreation personnel, and the testimony of eyewitnesses. When it comes to collecting such evidence, the sooner you begin to act, the better your chances are of winning your case. This is true for a few reasons. First, fresh evidence that has not been touched or altered is the best. Thus, videos and/or photographs of the scene immediately after the accident has occurred will offer you the best information for you can use in your personal injury lawsuit. Also, by acting quickly, you’ll be able to speak with witnesses when the events are still fresh in their minds. As time goes by, memories fade and they become less and less accurate and reliable. Thus, being able to interview those who saw what happened as soon as you can will help preserve their testimony. Finally, by acting quickly you are working towards preserving your rights to file a personal injury lawsuit. The statute of limitations for such suits in New Hampshire is three years, and delaying in taking action can jeopardize your case and your ability to bring it to court in a timely manner. If you have been in a car accident in New Hampshire in which another party is negligent, you or a loved one should contact Lucas Law PLLC, as soon as possible. We will meet with you and will begin collecting evidence immediately. Also, we will start processing and coordinating all information in relationship to your case and, in working with you, begin to develop a personal injury claim against the negligent party. Do not wait to contact a car accident lawyer, as doing so can compromise your ability to bring the strongest personal injury suit you can to court. In the State of New Hampshire, as long as the negligent party or parties are at least 50% responsible for the mishap, you may collect compensation for your injuries and damages to your property. Compensation may be awarded for past, present, and future medical bills, lost wages, pain and suffering, emotional pain, property loss, and many other areas related the injuries sustained as a result of the accident. Once you contact personal injury attorney at Lucas Law, PLLC, in the Lakes Region of New Hampshire, at (603) 581-7102 regarding your car accident, one of our car accident attorney from Laconia, Rochester, Concord and throughout NH will meet with you in a timely manner. They will learn the specifics of your case, analyze your situation, and consider possible actions you may take, offering you various options. If you decide to pursue a personal injury lawsuit in relationship to your car accident, your attorney from Lucas Law, PLLC, will work tirelessly in order to secure the compensation to which you are entitled.